Oh, my. What a provocative title! To clarify from the start, I have never been a full-time homeschool parent, and my daughters have never actually been homeschooled in the classic sense. They have attended both private and public schools but always went to an educational facility outside of the home. I write this post to highlight that a lot of parenting is about educating our kids, which includes (but not limited to) manners, respect, independence, religion, and academics. So, let’s go ahead and talk about homeschooling for a minute. Every person has their own perception about what this type of education means because many parents do it in their own way. The National Home Education Research Institute reported that in 2016, about 2.3 million children were homeschooled in the United States. And the rate seems to be growing by 2-8%. In the most simple terms, homeschooling means that education is based at home. Sometimes it is parent-led and other times a community forms a network. Some homeschool parents follow a specific curriculum while others use combinations of online classes, classes at a local school, or lessons from a variety of sources. Homeschooling does not have to be an all or none kind of thing. Several different homeschool models allow a homeschool parent to choose which one fits their needs. I assume many parents like to mix and match! My take on this subject is that a homeschool parent has taken the responsibility for ensuring that their child receives a proper education. Just as there is not one way to homeschool, there is no standard homeschool daily schedule. Based on this information, I believe every parent should be a homeschool parent. I choose to believe that all parents are concerned about their kids getting a good education; consequently, they should actively participate in the process. Whether your child attends a local public school or private school, I believe that parents need to review homework and reinforce concepts taught in school. And it should be done daily. This may seem like a basic concept but as a previous private school parent and a physician who treats private school children, I do not believe all parents have taken ownership of their child’s education. I have been told by parents that they do not need to check homework or review lessons because their kids are in great schools. Let me just say that this belief is FALSE! I worked just as hard as a homeschool parent when my kids were in private school as when they were in public school. Parents should own their role in their kids’ education regardless of location. Teachers provide a great educational foundation, but there is limited time in a day to find out what areas each child needs extra focus. Some children are super smart and learn quickly but are disorganized. If they are not taught better organizational skills, they may run into trouble later when the academic work becomes more difficult. As a parent, you have a front row seat to witness their organizational skills, and this may point you in a direction to give additional help. I need to provide a clear disclaimer: I am not an educator. However, I successfully raised two millennial daughters who excelled in high school, undergraduate and graduate work. Just like you, I learned to parent by trial and error. Many of my blog posts share my years of experience as well as what I have witnessed from other parents. The intent of this post is to change the concept of what homeschooling can mean. 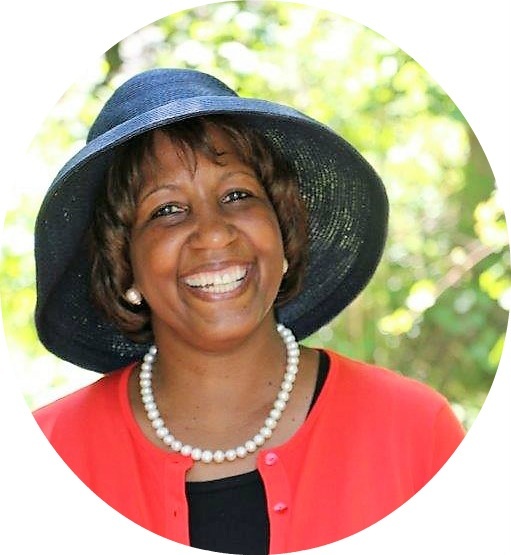 My goal is to empower parents to be more proactive and involved in their kids’ education. This added involvement constitutes homeschooling to me because it requires a regular commitment to helping achieve academic success. Start early and do it often. Try looking at something every night so that your kids come to expect you to do it. You may not be an expert in any particular subject, but you can always give suggestions for improvement. Don’t we all have room for improvement? I started in grade school pointing out that their penmanship was sloppy or that they did not write their letters on the line. The more you read homework, the more your brain dusts off the old memories where you actually learned this. Learning along with my kids helped me to help them as the work got harder. Well, until they needed a tutor, but that’s another discussion! Kids will often show you the things that make them proud or the things that they did well in. You should absolutely praise those things, but I made it a point to ask what was hard about today. As a family, we would go around and each say something that was hard or bad from that day. This conversation can reveal many things which could guide you in helping them in an area you did not know was a problem. Once you become aware of your child’s weakness, find ways to improve it. Sometimes you have to be creative about it since they will resist! I mean who wants to work on areas they struggle with? One daughter loved to read and the other loved art. Without extra incentives, they continue to excel in these areas on their own. But, my girls always disliked math, which hurt me to my soul since I lived and breathed math. Whenever I brought out math workbooks or reviewed math homework, there were more tears than I cared to deal with. So, math became my mission! When shopping at the mall, I would turn my brain off and never know if I had enough money to buy them things! They soon learned “mental math” and later learned to do percentages very quickly. Nothing like missing out on buying something from their favorite store when I did not know what 30% off meant! Sure they told me to just use my credit card but I specifically took out cash to use for these reasons. You gotta do what you gotta do. Sometimes, kids are great at memorizing things but do not really understand them. Celebrate their correct responses but sincerely ask them to help you understand how they know the answers. One of my goals with my kids was to teach them how to learn, not just how to get correct answers! They wanted the right answers the quick way, often just by remembering what the teacher had done in class. I would change a problem or two just enough that they had to use the correct methods to figure out answers. Even when my kids were young, a lot of writing in school was filling in the blanks. I needed my kids to become good writers, so I had to help them learn to express themselves in story form. Not just completing random sentences. From a very young age, my girls got a cute journal each year and had to write a page in it regularly. And, like a good homeschool parent, I graded and corrected the page. I cannot emphasize enough how much my daughters learned from these journals. Their creativity soared and as they got older, they were required to use all the punctuation marks correctly. I intend to write more about this in posts about creative writing and earning scholarships to college. Take a look at the writing improvements from the 2nd grade to 4th grade for one of my daughters. (Note that awesome cursive writing that I required but teachers did not!) Over time, she began to write poetry and became very good at expressing her self through her writings! Developing a great vocabulary is a skill that is important for the rest of their lives. In school, teachers teach the vocabulary appropriate for their age. I found that encouraging more reading is a great way to improve vocabulary and sometimes show words used in a different way. To be honest, my kids learned to love reading because of their grandmother, Nana. My plate was full working full-time and doing these homeschool tips that I am sharing. Nana stepped up to the plate and offered my daughters $1 for every book they read each summer. But after a summer of my kids constantly begging me to go to the library or to Barnes and Nobles Bookstore, I came around to Team Bribery! I will say again, you gotta do what you gotta do. Find what works for your kids and run with it. Starting in kindergarten, my kids never went all summer without some academic work. Yes, many tears were shed over this issue since “no other mom” made kids do work over summer break. This was a great opportunity to introduce my kids to the fact that I would never be any other mom except for me. I would find out what was going to be a focus the next school year, and we would get a jump on it. For instance, when they were going to learn all the states and their capital cities, we had those workbooks ready. We practiced cursive writing before learning it in class and worked on punctuation that we knew was going to be taught. Summer was not intensive school but it helped them to know that their brains never fully shut off. This plan kept them fresh and made the back to school transition easier. For what it is worth, I used all of these tips while raising my children. I appreciated everything that teachers did for my kids, but I had a higher expectation and would review their work and point out areas for improvement. 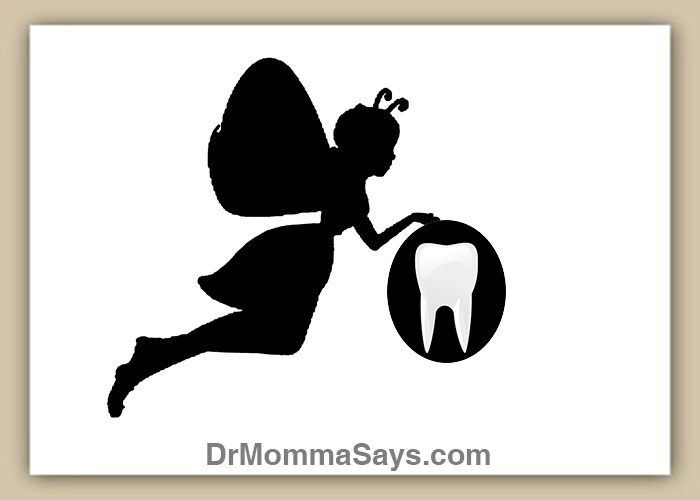 Even though I was running a private practice, I routinely had night time homeschool sessions! I believe that many parents also use these tips routinely but have not considered themselves as a homeschool parent. Give yourself credit because countless parents do not! Teachers can get overwhelmed with the wide range of abilities of their kids in their classrooms, so you must ensure that your child gets extra assistance or more advanced work based on their needs. 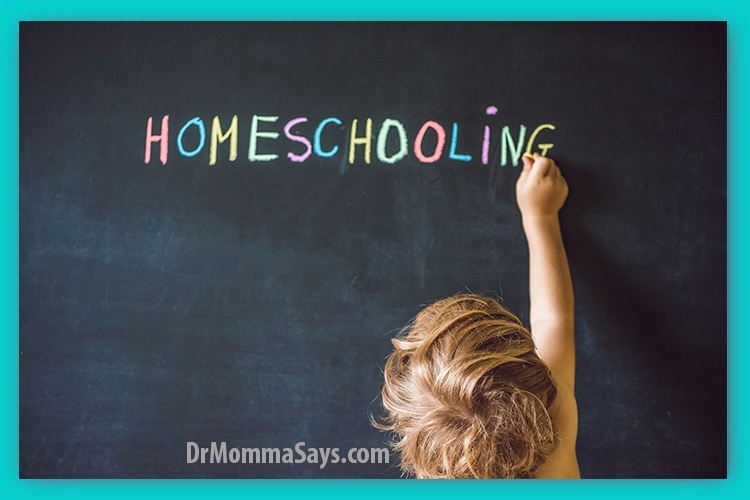 Bottom line, whether you are a part-time or full-time homeschool parent, homeschooling is not easy. I get that “real” homeschool parents may not consider what I did to be homeschooling. I disagree. In fact, my daughter disagrees. I recall nights with her in tears where she said the teacher said her work was good, but I had more corrections. Her angry comment was: “You should just give me a separate grade”. My hard work paid off. Yours will too. How Do You Know If You Have Allergies? 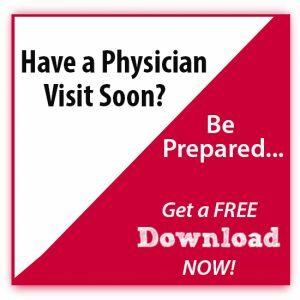 It is heartwarming to see a medical professional (working with kids) being gracious about homeschooling. Most parents took the plunge and homeschooled when they realized that their involvement in their kids’ schoolwork was already bordering on abnormal (thanks to education systems that value assessments more than learning itself). You are bringing in a fresh perspective from the other side. Thank you! Thanks so much. I was a bit concerned that traditional homeschooling moms might be offended, but I wanted to encourage other parents to step into the educaction process regularly, no matter how good their school is! I could not agree more. I believe parents are ultimately responsible for their children’s’ education whether traditional home school, private school, public school, or anything else. Learning can and should happen anywhere, anytime, and at any age. We should all be lifelong students of something. Well said Dr. B. So glad you can relate to this. I hope it encourages working parents to increase their homeschool efforts for the benefit of their kids! I am not a parent neither was I homeschooled but O personally prefer homeschooling for kids, because they get to learn more. And it’s great to see medical professional working with children. The beauty of parenting is that you get to see your kids and determine what approach works best for them. Some kids thrive with 100% homeschooling and some do not. We must be flexible and you will know what is best when the time comes! This is a really great article. I think you raise really great points on educating in the home even if your child goes out of home to school. It’s a parents responsibility to nurture and educate their child through every phase of life. I think the concept of homeschooling when kids attend another school is one we need to explore more. Parents need to be able to reinforce what teachers do. Even the best teachers need parents to help. It is absolutely imperative that a parent connect with their children especially with school work and learning. You have really given some great tips here. Thanks so much. Every parent can determine how much homeschooling is needed, fulltime or part time, but I think more needs to be said about the value of everyone do some of it! I also think that every parent should make an effort of being a homeschool parent once in a while since for sure, I’d not do it always . But getting involved in a child’s homework, asking them about what they learnt and knowing about their tough areas would be just fine for every parent to do. I do not think I would have been a great full-time homeschool mom. But even after working all day, there is time to spend doing school work with kids to show your interest in their learning process. Having some schedule about setting time aside for this is a great asset. I 100% agree. Those journaling days were at times difficult and frustrating for my girls but they learned how to express themselves in a clear way that has been used repeatedly in their lives. Great Tips, I loved your points emphasizing on focussing where your child is not good at rather than things wherein children excel. Also, getting to know the hardest thing they learnt is a great idea. I need to focus on all these points as my son has now started going to formal school. It is so easy to give extra attention to their natural talents, and that is great…but working on weaknesses makes them more well rounded. You cannot excel in everything but you can avoid being terrible at them! Great thoughts about homeschooling. Every parent should read this. I am hopeful this will inspire parents to have a more formal approach to helping kids with their school work. It will pay off in the end. I would call this position “intentional parenting” rather than homeschool parenting. I homeschool my children and there is a lot that involved that the article doesn’t touch on. 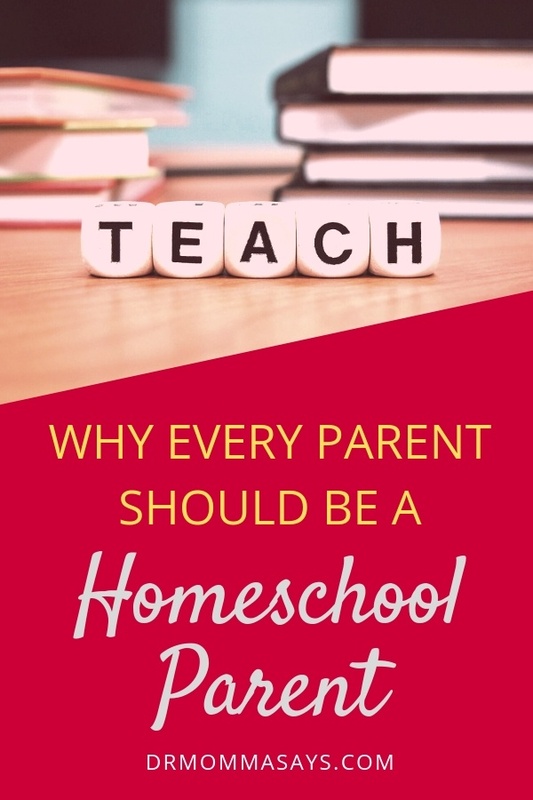 I do agree with everything mentioned, but homeschool parenting is much more calculated and fluid; for instance gaining the knowledge to learn and create constant learning opportunities for your child is hugely critical. Thanks for your comment as it highlights one of my main points. Everyone has their own description of homeschooling and does not feel other efforts are on par. We need to empower each other to become more involved in our kids’ education. Using terms like intentional parenting does not specifically address academics. We should be intentional in all aspects of our kids’ lives and of course look for opportunities to learn on vacations and life experiences. My intent was to widen the scope of homeschooling because there is no one acceptable definition just like there is not one way to parent. I want this to not be like the Working mom vs stay at home mom debate. We are all moms so we accept it all. What an amazing post! I am not a mother yet but all your points are so valid and important. I will definitely come back to your blog when I have kids. I love your blog by the way! Thanks so much! My goal with each blog post is to share some information that may not be well known. I am glad you enjoyed it. It is definitely important to stay involved in the child’s school work. I totally agree with every parent being a homescooling parent. I hope that more parent step up what they are doing at home. It really makes a difference. As a teacher, I really appreciate this post. Children may learn a lot of lessons from school but I believe that it’s really better if parents will help too. I have a student who does well in school activities but always fail to do his homework. I talked to the parent and she explained how busy they are that they don’t have a time to check their children’s home works. They ended up hiring a tutor. Tutors are helpful when you are not able to help your child, as opposed to being busy. ALL parents are busy but my goal is to show that despite being a surgeon and running a private practice, I made the time. We need to support our teachers! My mom was more focused on our street smarts and common sense at home. That was how she homeschooled us. As parents, we should all focus on street smarts, common sense and survival skills. However, actively participating in homework and helping kids excel is another way to help kids succeed. As a teacher, I can totally relate to this post. Yes of course as educators we try and provide children with as much as possible whilst at school. But education is definitely a partnership in which parents absolutely need to be involved too, regardless what school their child attends. I have always felt this way which is why my work never varied, regardless of the schools my kids were in. Parents need to reinforce the work that you have done to instill knowledge. Practice and discussion helps the material stick. Thanks for all you do for kids! Agreed 100%! I feel when parents get more involved in teaching their children the succeed and excel at a much higher rate! My children both went to public schools however I always had an active role in educating them at home. Turning everyday moments into teachable moments. 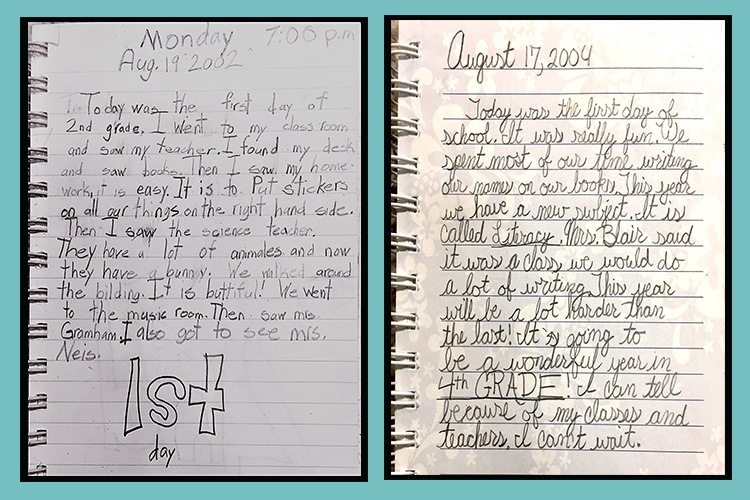 I bought my children their first journals before they could even write, to which I was harshly judged for because, “they couldn’t even write yet.” I encouraged them to write about their day. I still have all their early journals full of scribbles, to letters, then words and finally sentences. My kids are all grown now and still journal daily! You did exactly what I did, and I was also considered the “mean” mom. But with encouragement, kids can rise to meet expectations. Congrats on your successful parenting journey. Congrats on your upcoming delivery! While kids are infants and preschoolers, parents always spend extra time teaching. I just encourage you to stay actively involved even if they attend a public or private school. What you do at home is invaluable. This is such a phenomenal post!! Definitely pinning to share with my audience. I am so happy you found this post helpful. I feel it is important for everyone to re-think what traditional schooling and homeschooling means. There are more ways to have a hybrid method that keeps parents involved.